The film deals with the story of a mother and child relationship that goes beyond boundaries. So, what goes between the two is interesting to catch in the nearby cinema. When the makers released the trailer, it did not disclose the real beauty of the film, which was essentially experienced after its release. You could notice a cool camerawork of the film more vivid than experienced in the trailer. The story of the film is gripping and emotional and allows less or no loo break for the audience till they are formally allowed during the interval. The remarkable performance of the lead actors particularly the one played by the kid is too good to catch. The way the actor has brought out the innocence is worth enough to catch over the silver screen. 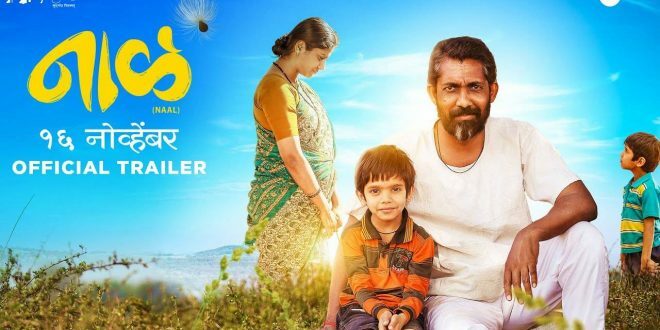 Both the actors including Nagraj Manjule and Devika Daftardar while playing the parents of the kid have done incredibly well. Nagraj with his powerful dialogues and screenplay has simply impressed the audience. Same goes with the character of the mother played by Devika as one can barely find any flaw in the role she has played in it. With her incredible expression over her face, be it the smile or any other things, she has simply impressed the audience and critics alike. Naal is an interesting and beautiful film to catch and there is barely anything negative about the film. With powerful performances and a decent storyline, the film has gone a long way to deliver something tangible to the audience.